May natural gas prices closed today's trading session down about 5 cents on the day, arriving there by way of a general slow decline throughout the day. 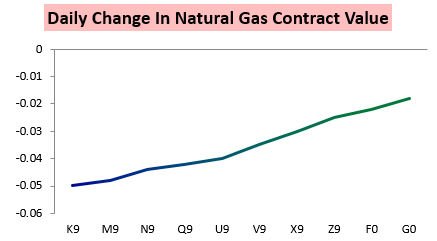 The decline was felt throughout the natural gas strip, but was focused most on the front month contracts. 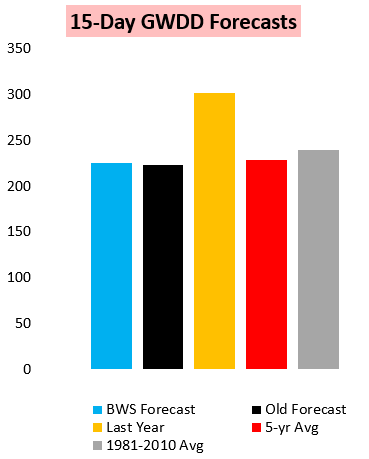 Initially, the decline was due to a significant warming trend in overnight weather models, forcing forecasts to lower demand estimates this morning. 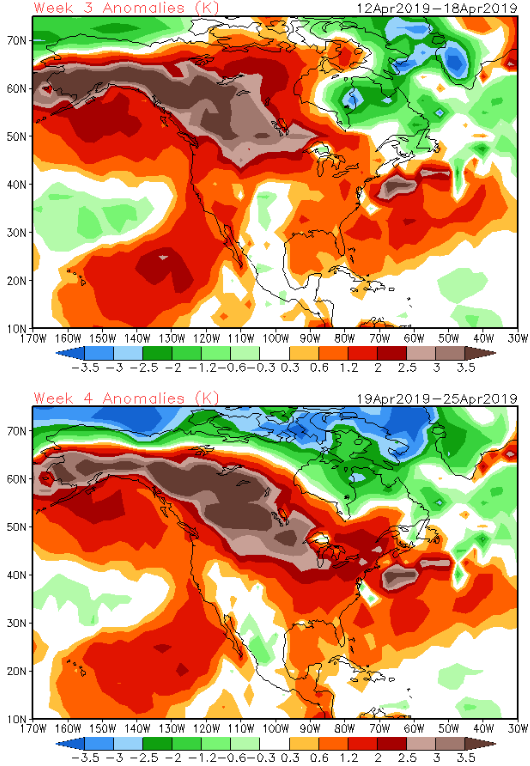 This change pushed the 15-day forecast solidly to the warmer side of normal, and much warmer than the same period one year ago. 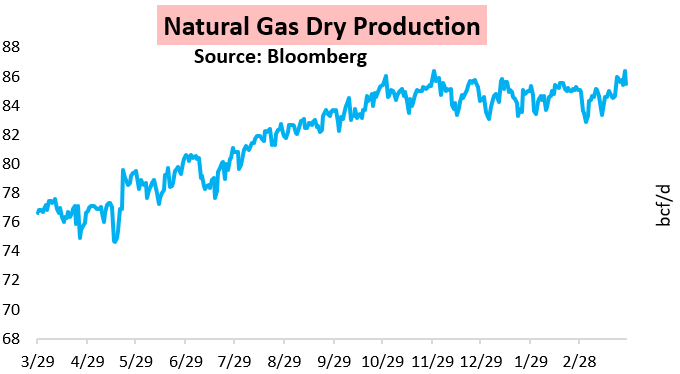 On the supply side, natural gas production has finally returned back to near-record highs. With the increase in supply combined with the warmer, lower demand weather changes, we warned in our morning report that there was a "slightly bearish" risk to natural gas prices today. This worked out well, as prices did fall another 3-4 cents from the time our report was issued, with the supply/demand picture weak, and longer range weather data showing little sign of notably boosting demand. 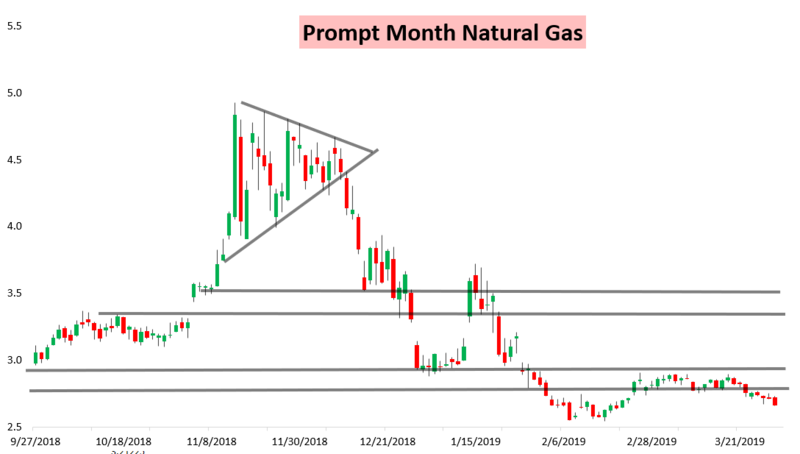 Will natural gas prices continue their decline going forward, or is there a turnaround on the horizon? Sign up for a 10-day free trial here and give our research and analysis a closer look!